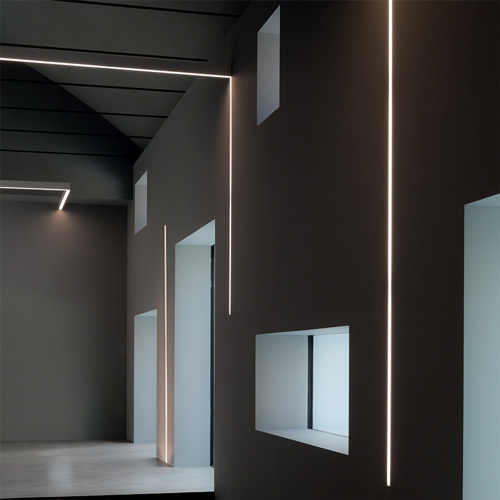 Algoritmo is a flexible system that allows different lighting solutions to be joined through the same shared electrical system. 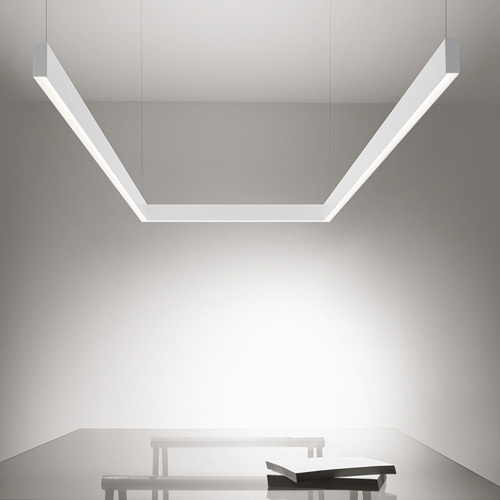 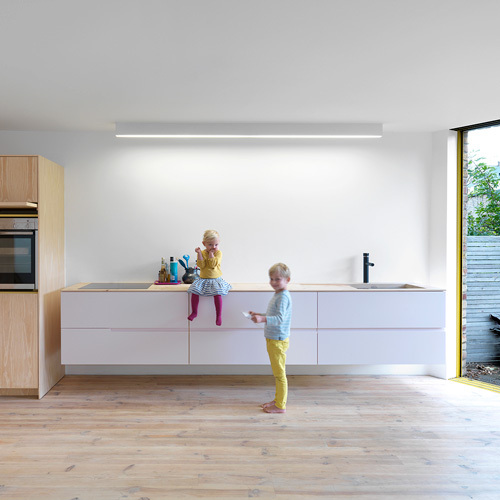 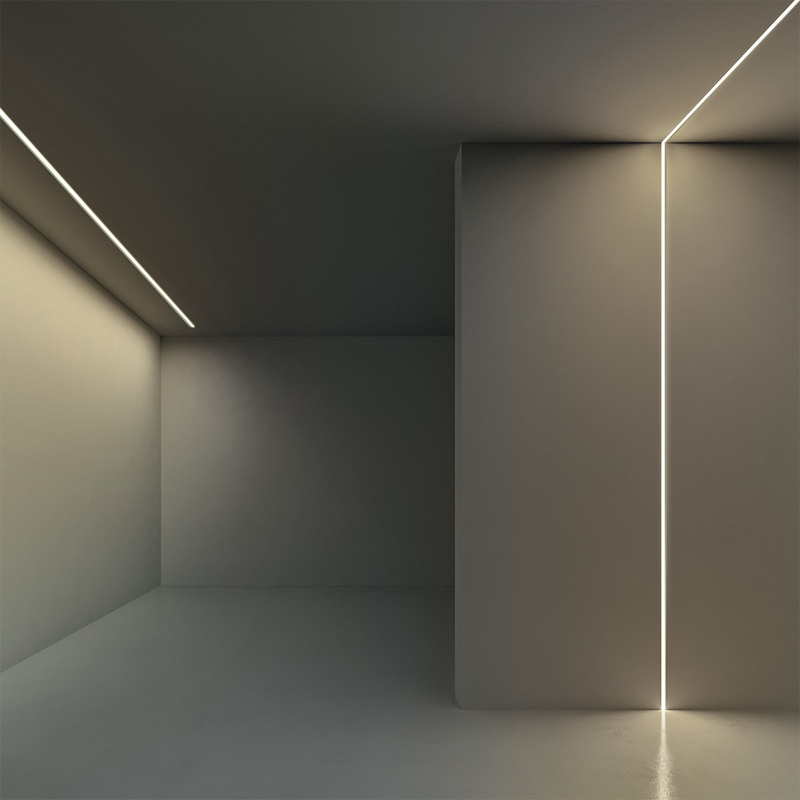 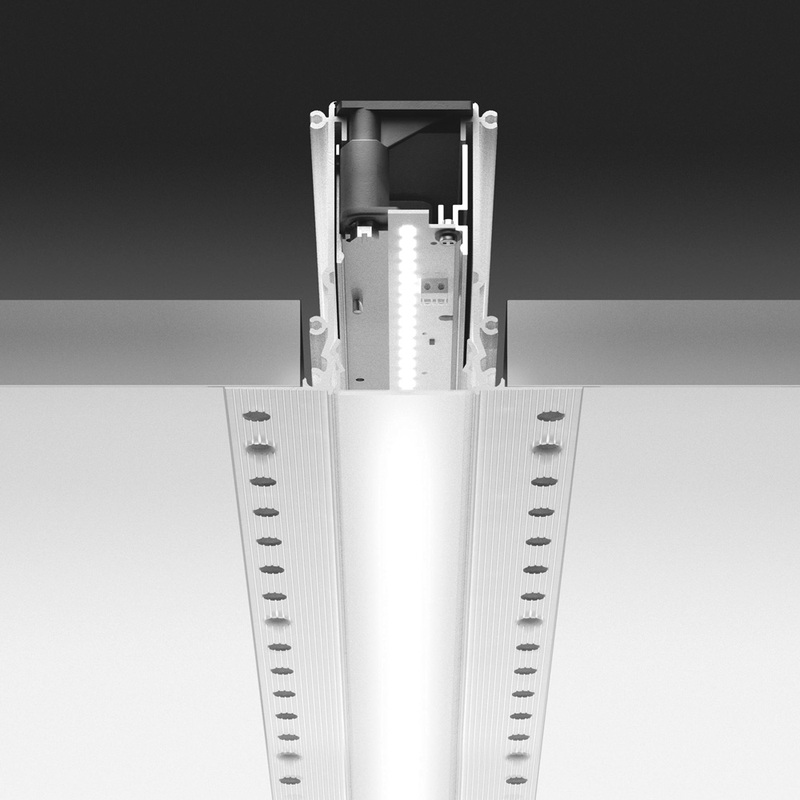 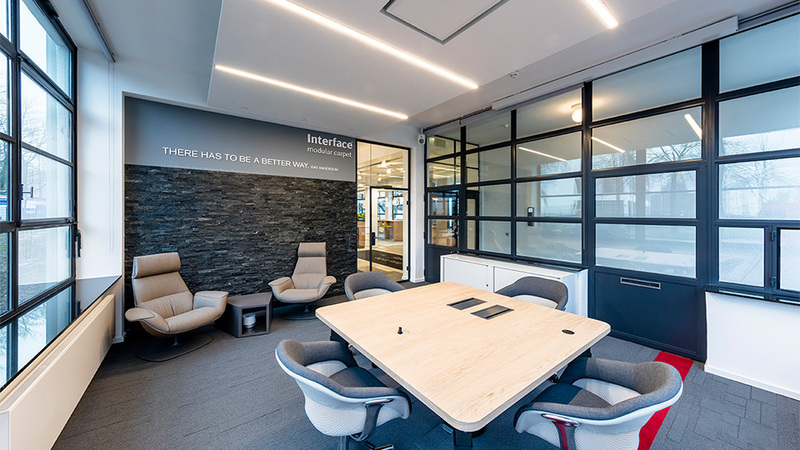 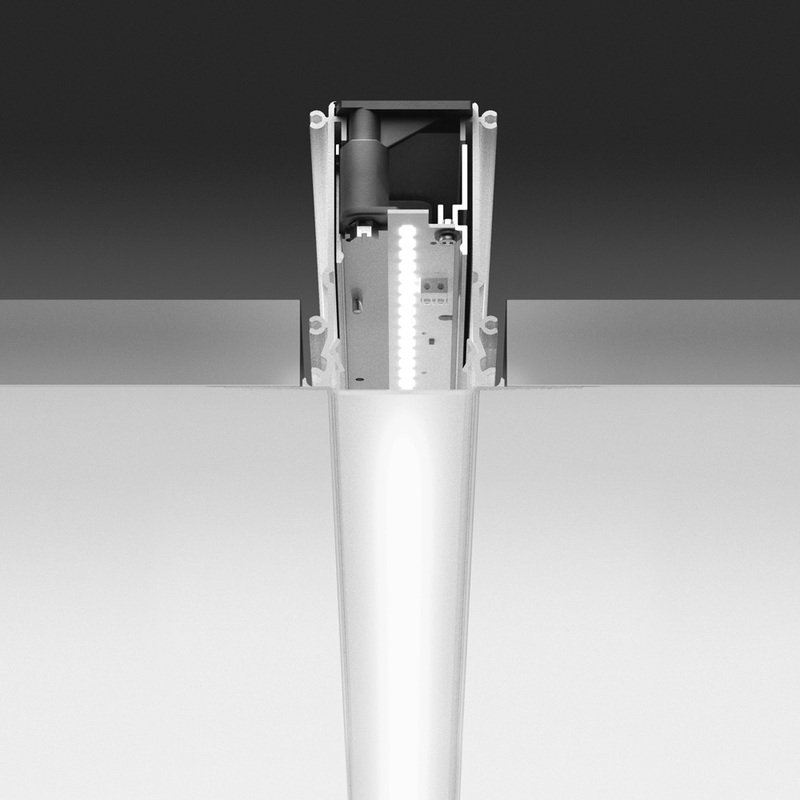 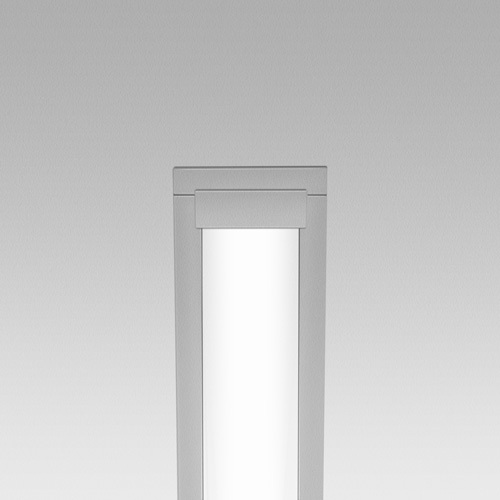 5 lighting performances are included in a single, extruded aluminum body: ambient lighting, office lighting, surface lighting, accent lighting, and directional lighting. 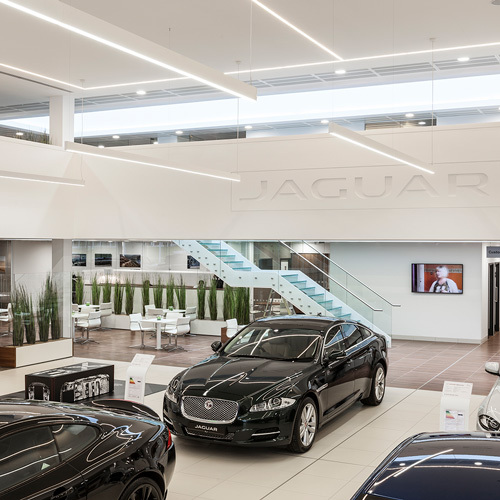 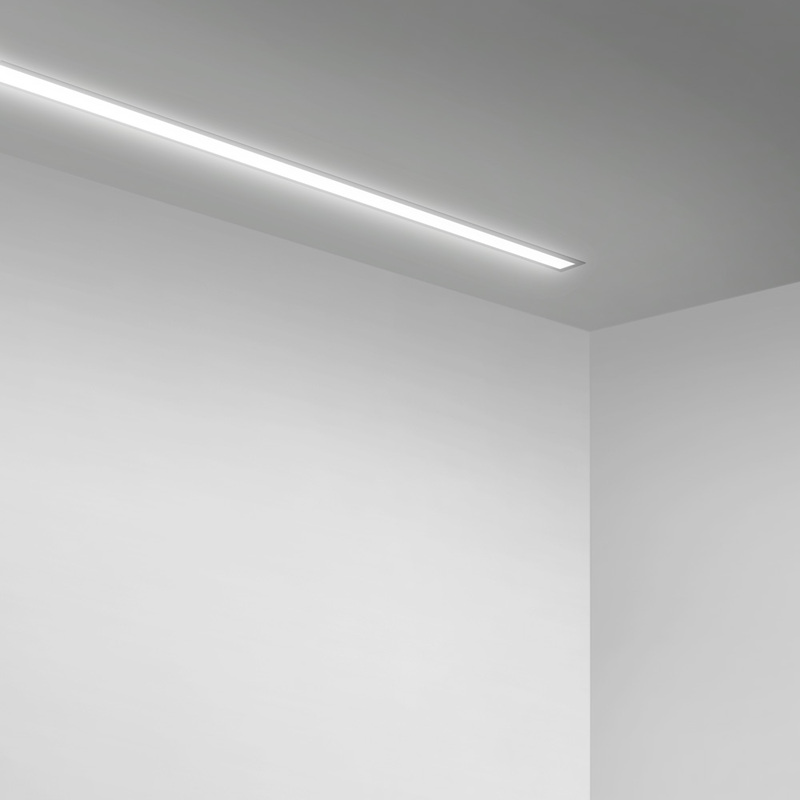 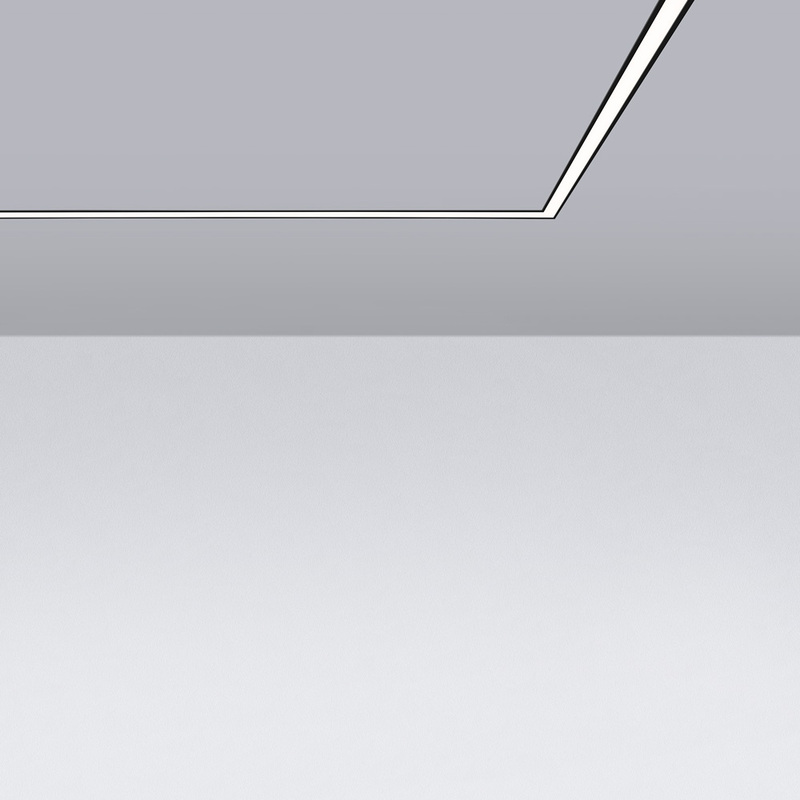 Algoritmo allows the continuous combination of Sharping light modules, with direct or direct + indirect emission LED lighting in warm white (3000K). 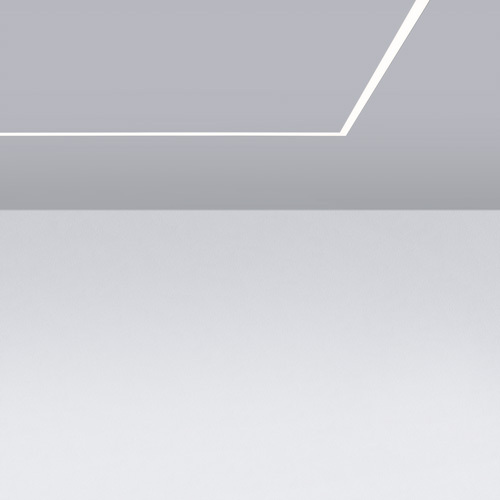 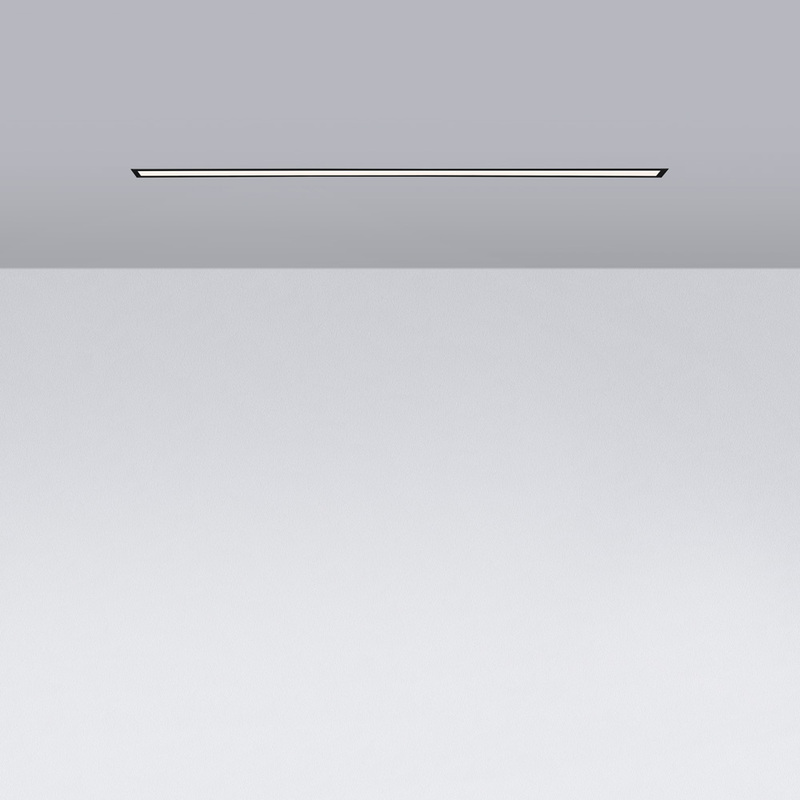 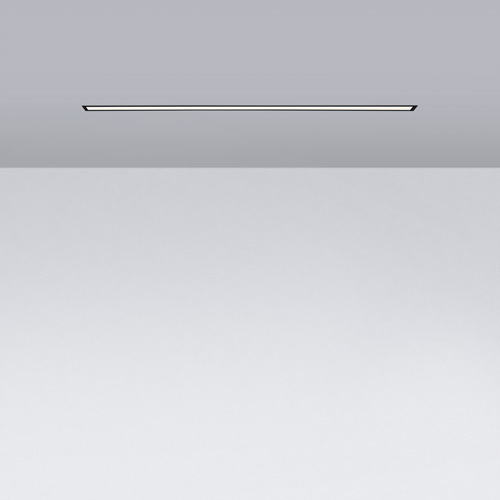 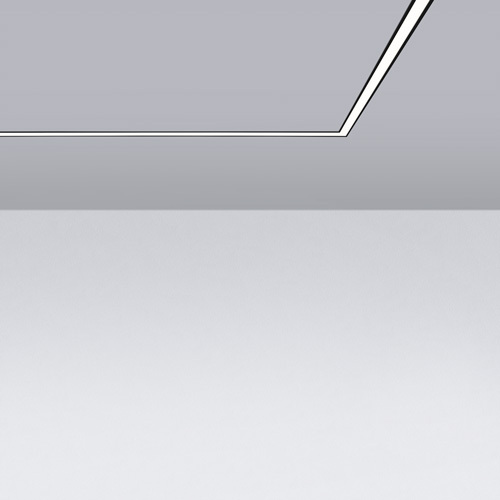 Algoritmo recessed will be available in 2 sizes: 4 feet and 8 feet. 2 versions: with trim (black, silver, white) and trimless. 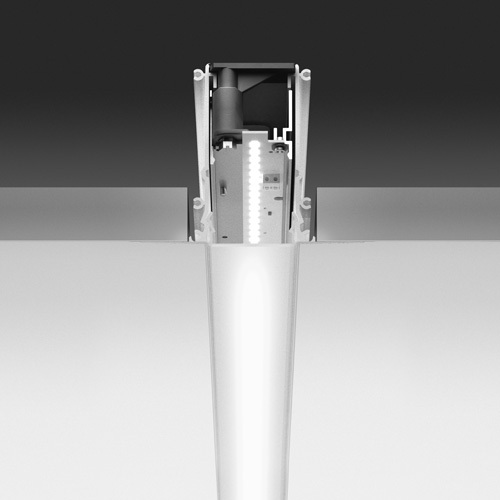 3 optics: controlled emission, diffused, prismotics lens.